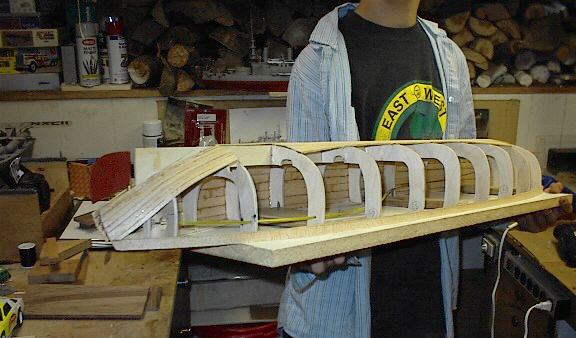 The model's hull is made with plywood ribs, then planked with bass wood strips. 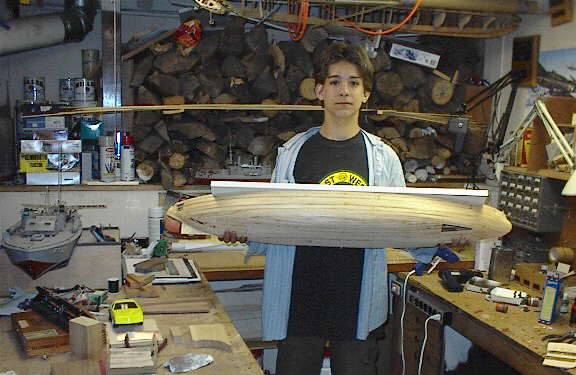 Bass wood is easy to sand, yet stronger than balsa. 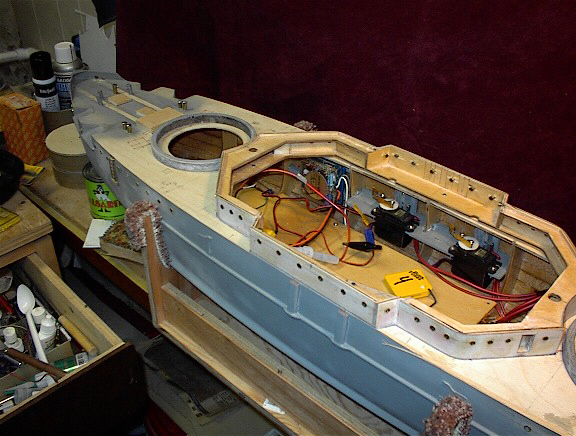 ready for bondo before fiber glass. 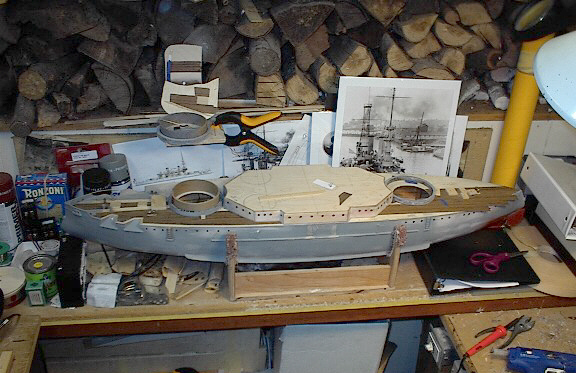 The hull and top decks start to take shape. 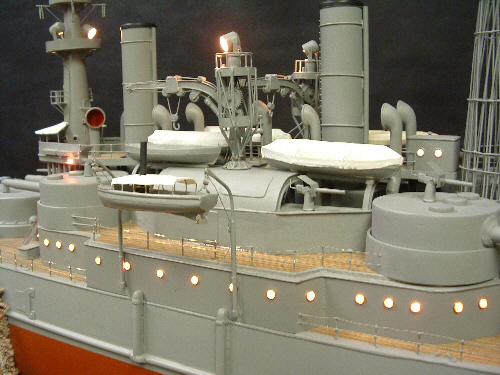 every aspect of the ship's, function, control and finish detail has to be decided. 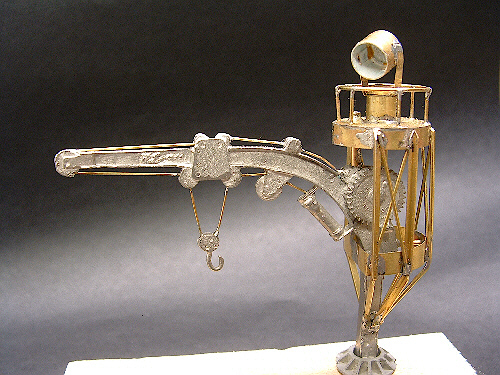 brass wire and a casting of tin lead alloy. 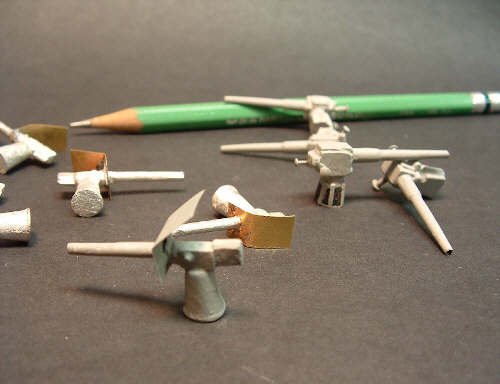 Tiny work taking days. 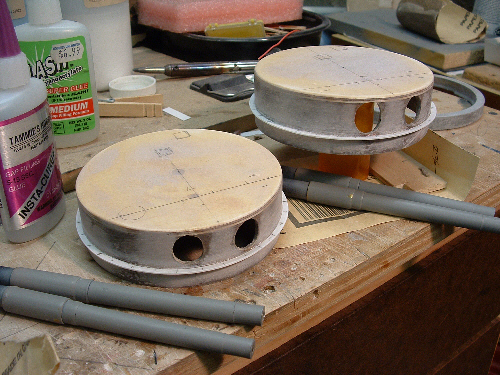 The main turrets under construction. pens with just the right taper. 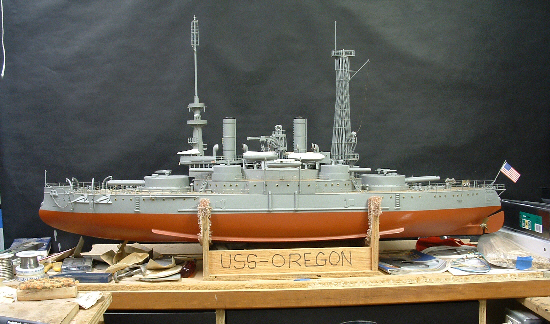 only lacks the rigging to be complete. 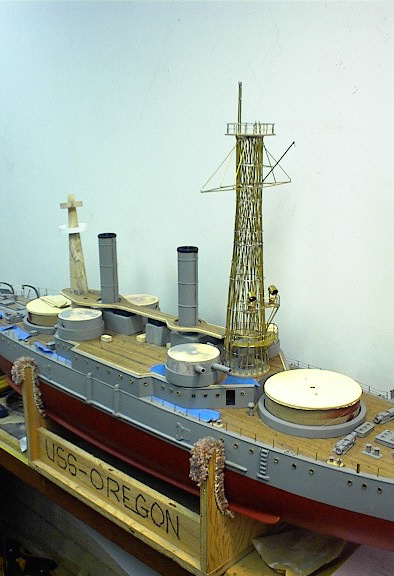 The main mast, resin and brass, ready for paint. soldered together took a week to put together. generator gives a great effect. 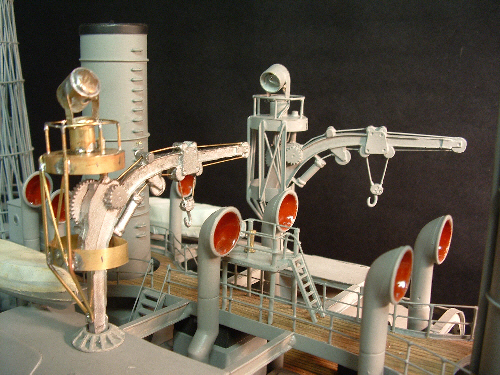 gain access to the works. 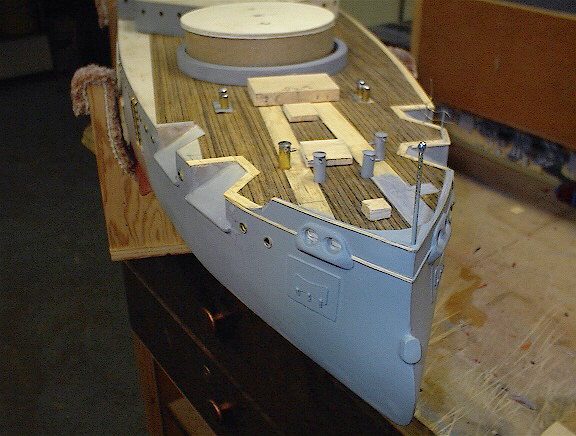 Teak wood is applied to the decks. 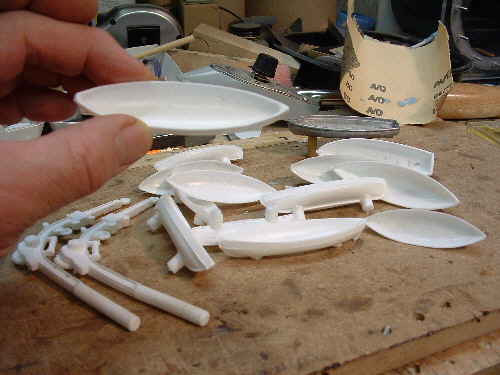 Life boats were cast of resin, using RTV molds. 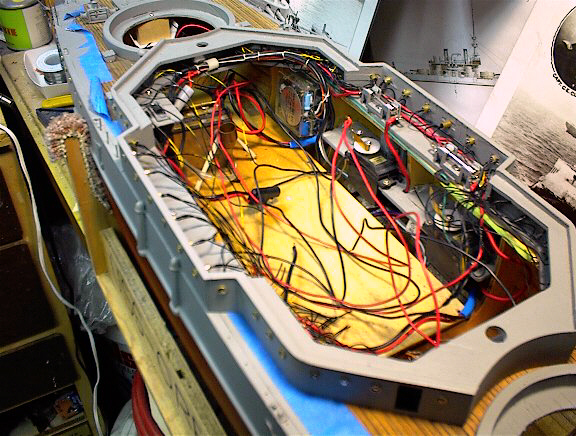 The boat cranes are wired and placed.